George laid her first egg yesteday. 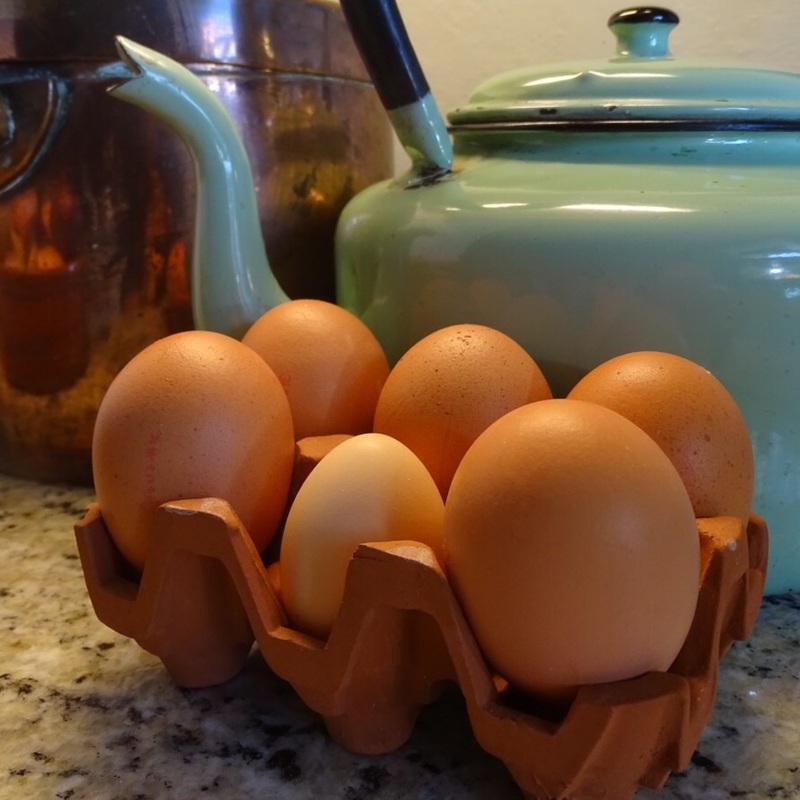 It was a 3 hour labour and was heralded by much squawking and clucking ….a perfect little egg ! Other news from the Eglu is that Blizzard our white Silkie (see post is he or isn’t she?) announced it to the village this morning …she’s a he. This entry was posted in Bantams and tagged Armathwaite, Bantams, Cumbria, eggs, Eglu, Thebuzzshelter Armathwaite on March 22, 2015 by philandjane. Ha ha, labour of l’oeuf. I like the name of your rooster; after having so many this winter, Blizzard seems appropriate for a rooster. We just got 2 new chickens today- 8 weeks old, silkie cross frizzle. Our neighbour gave them to is as we’ve recently lost 2.